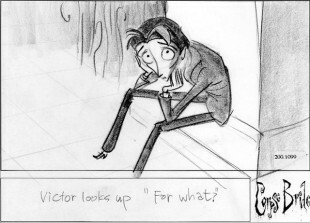 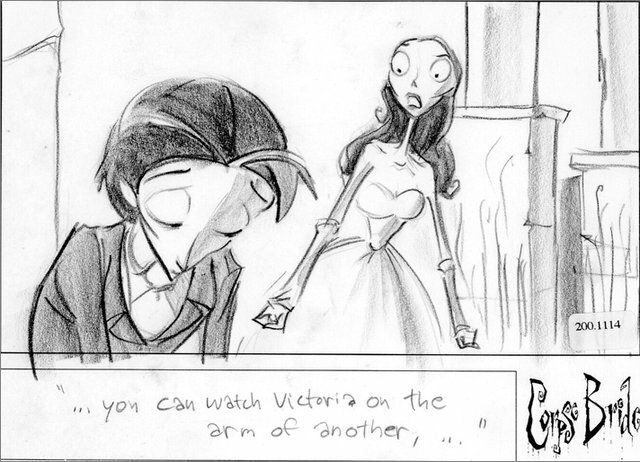 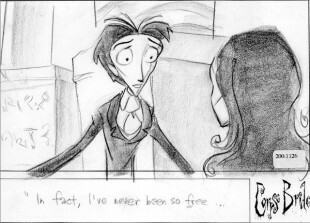 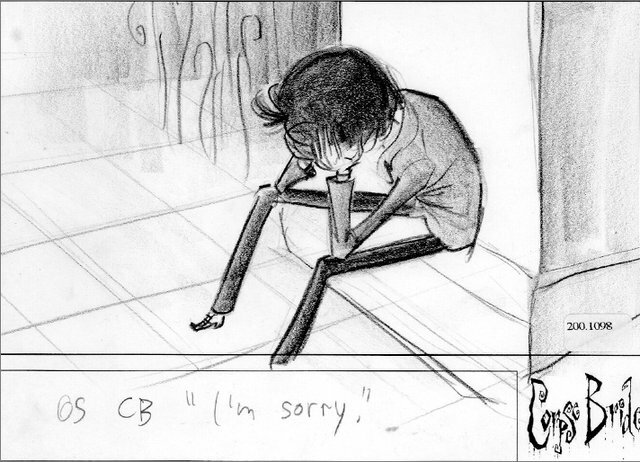 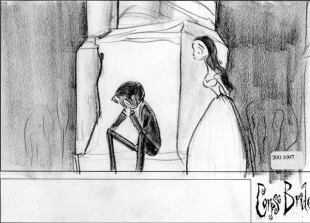 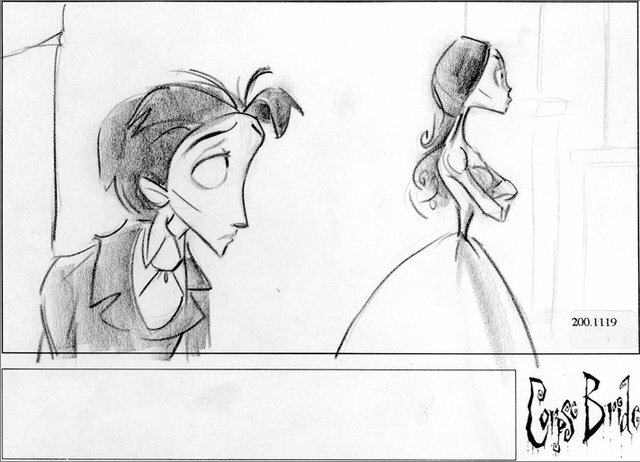 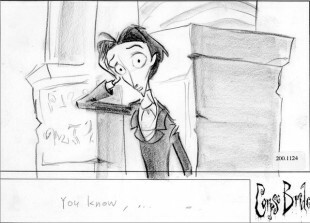 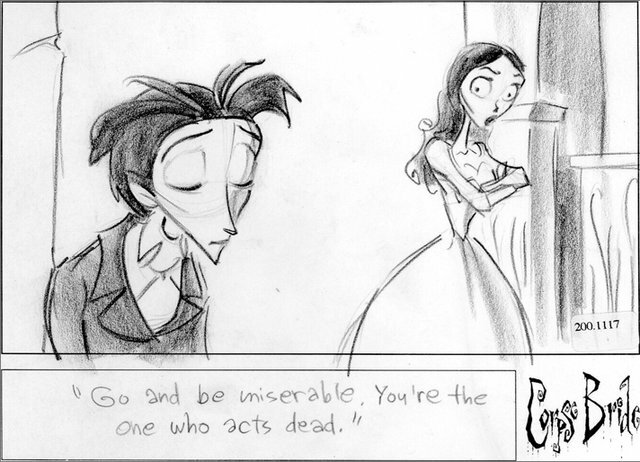 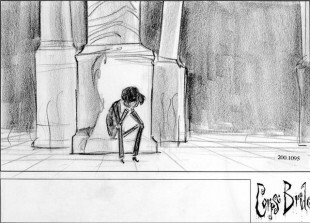 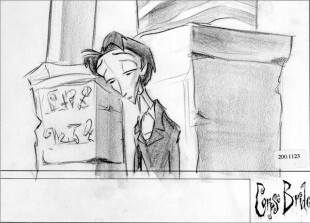 Victor is mired in self pity until the Corpse Bride loses her patience and forces him to consider his situation in a better light. 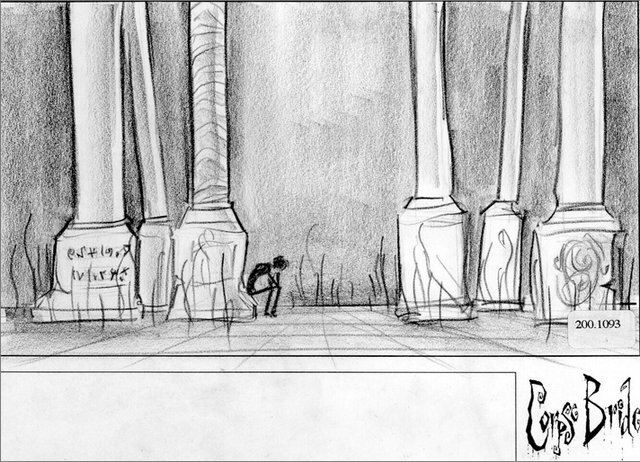 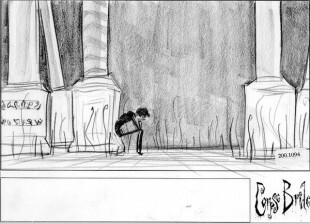 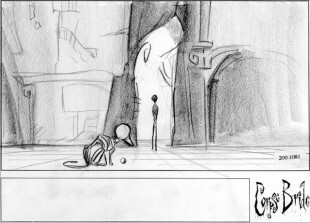 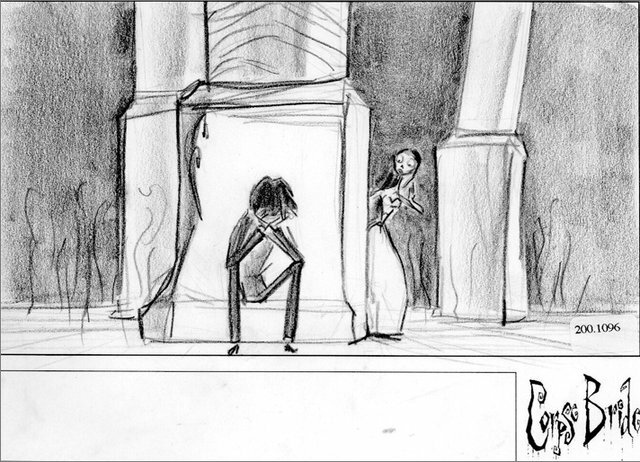 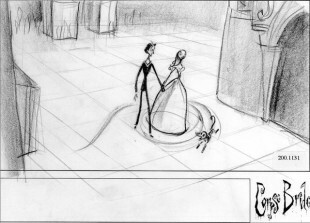 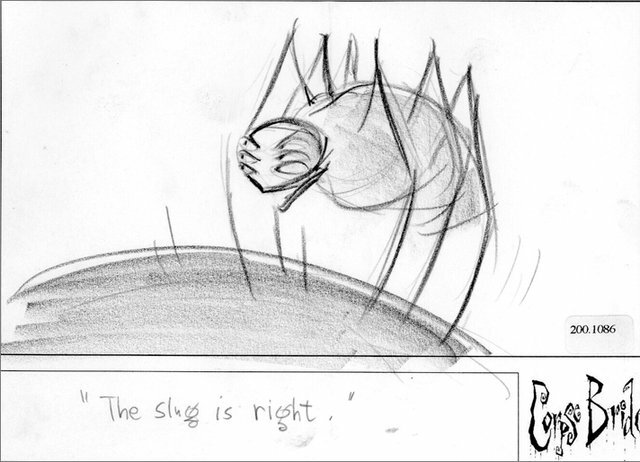 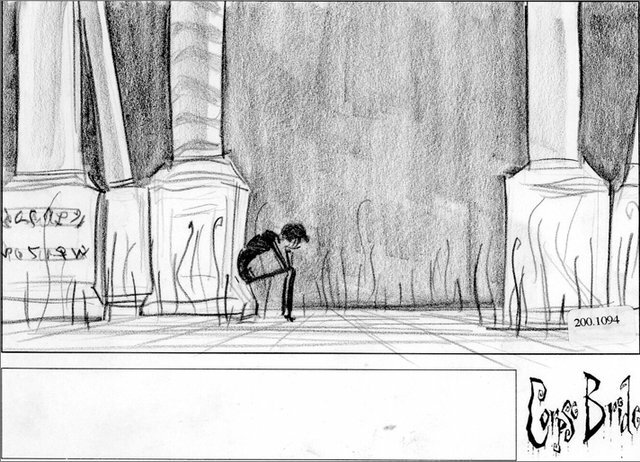 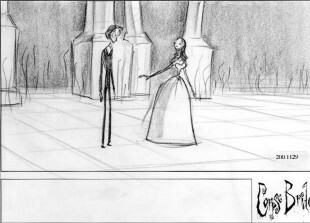 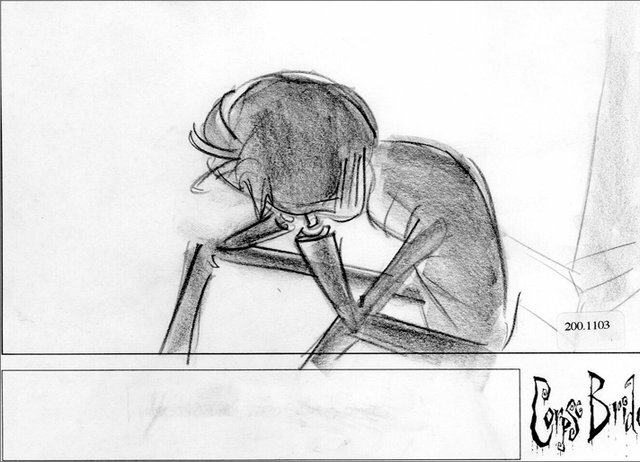 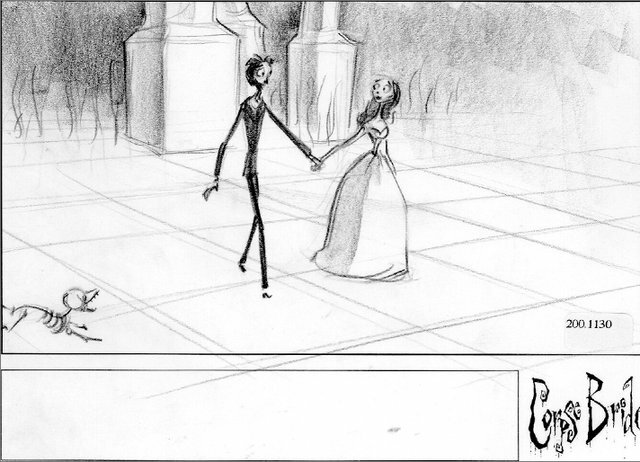 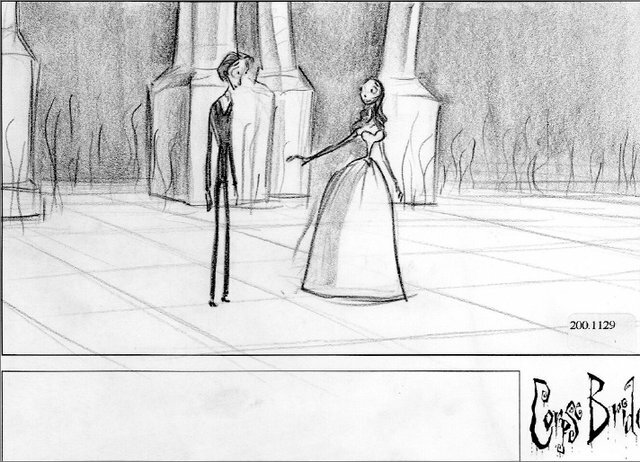 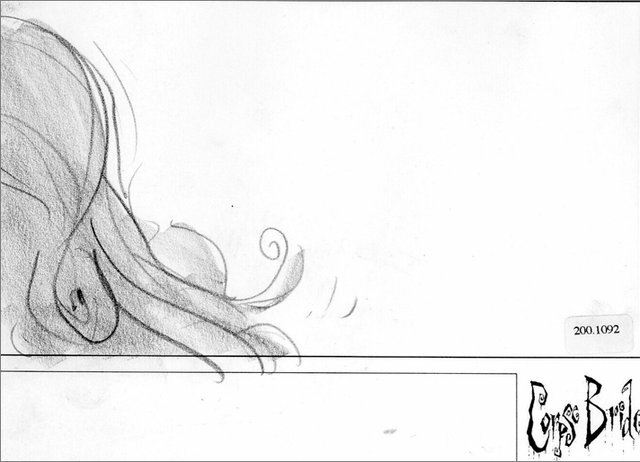 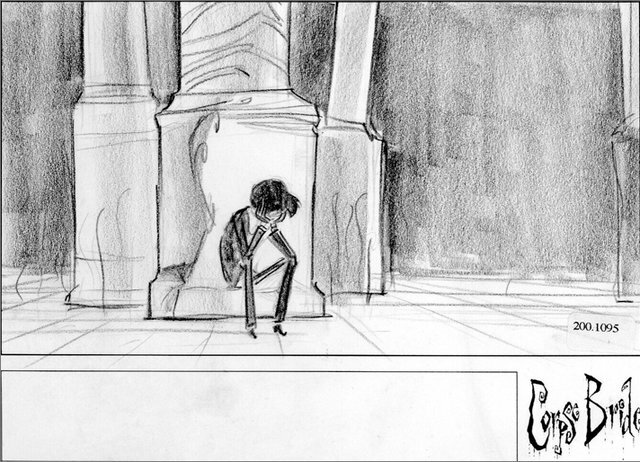 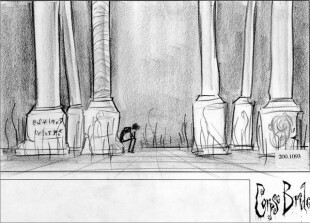 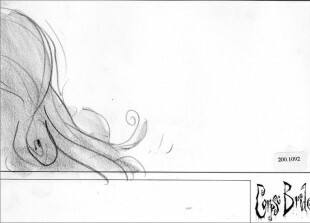 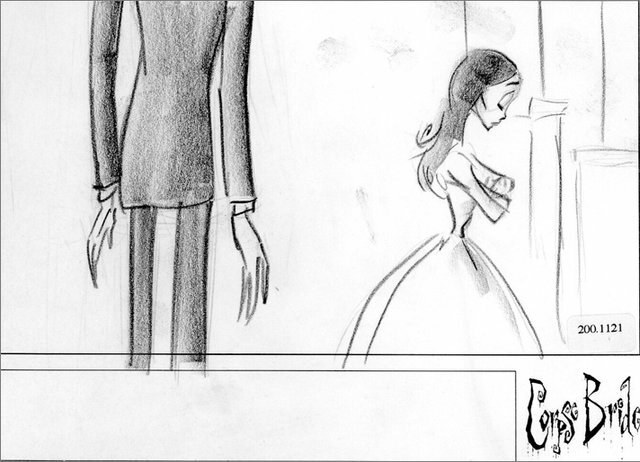 A very early pass at this sequence. 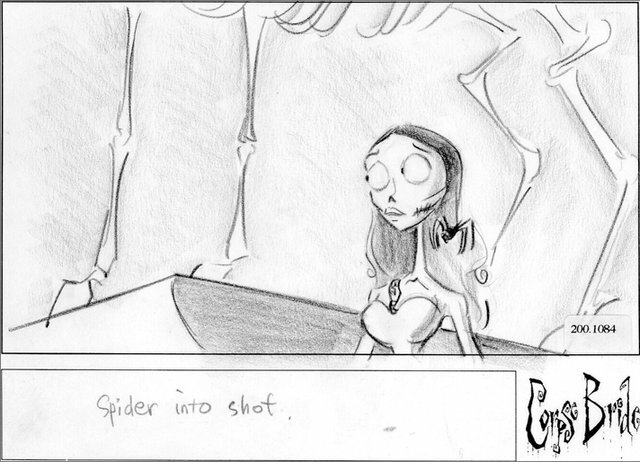 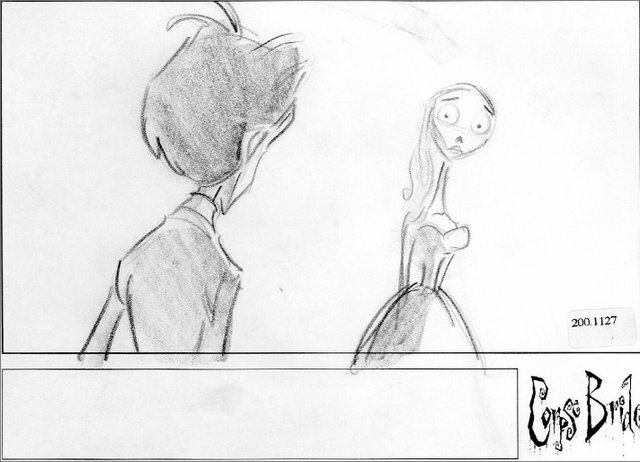 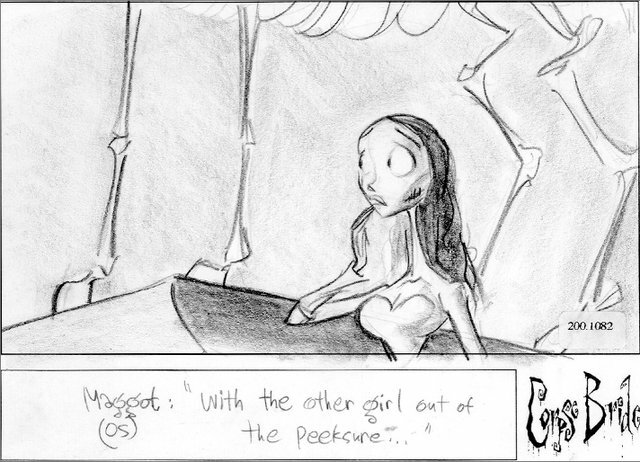 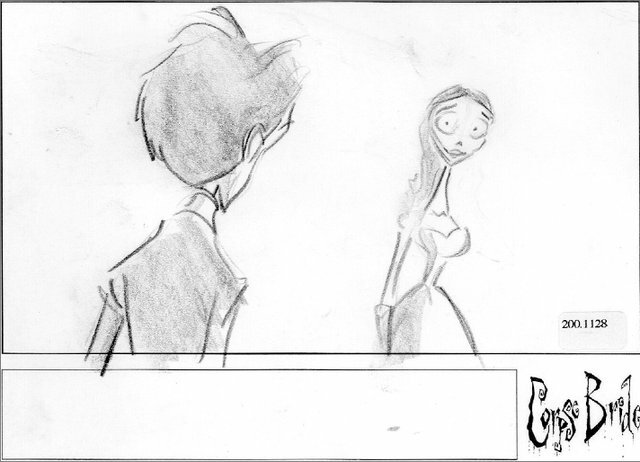 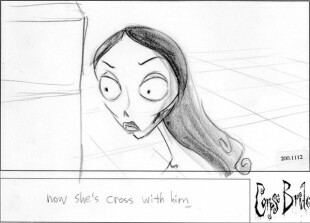 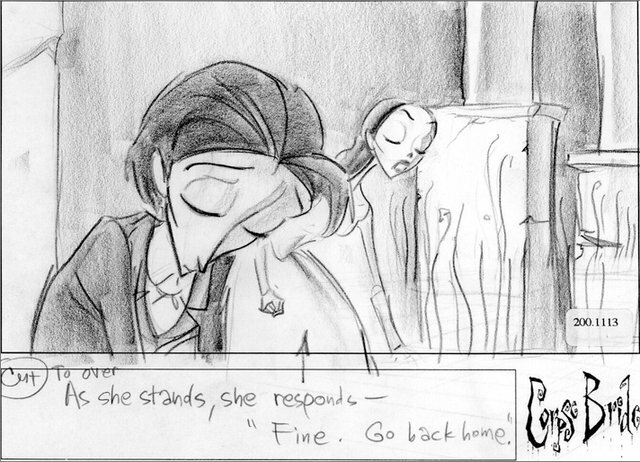 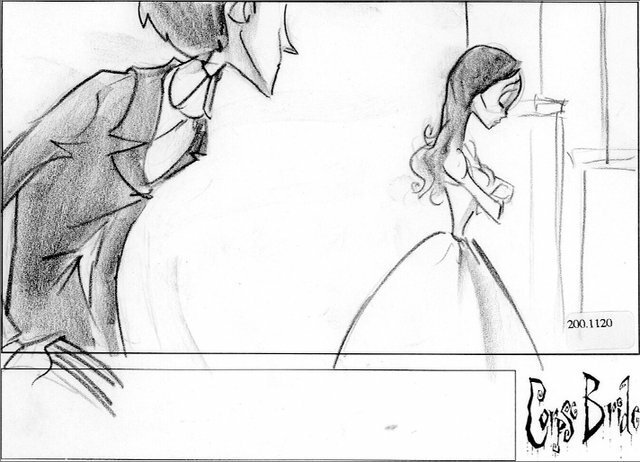 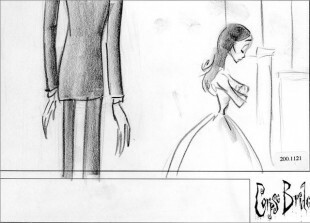 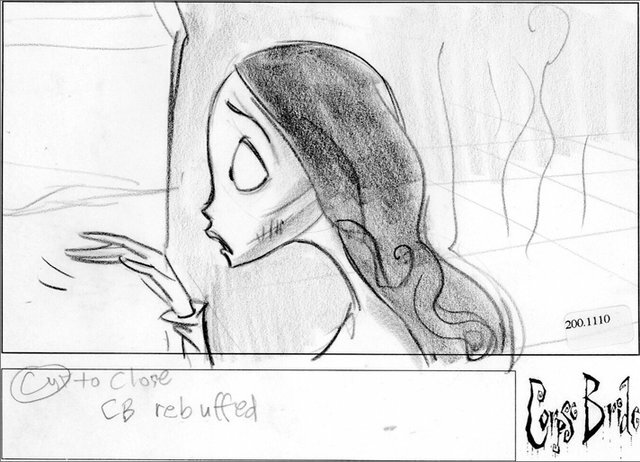 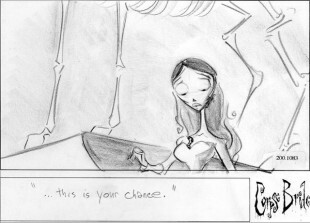 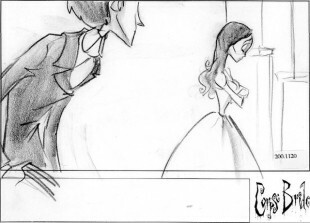 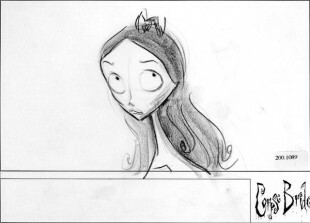 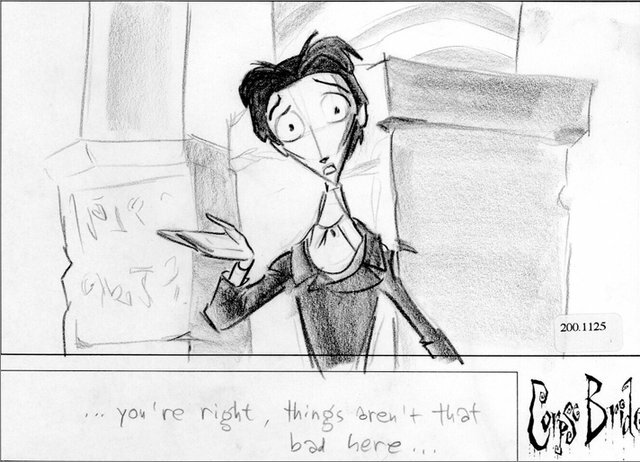 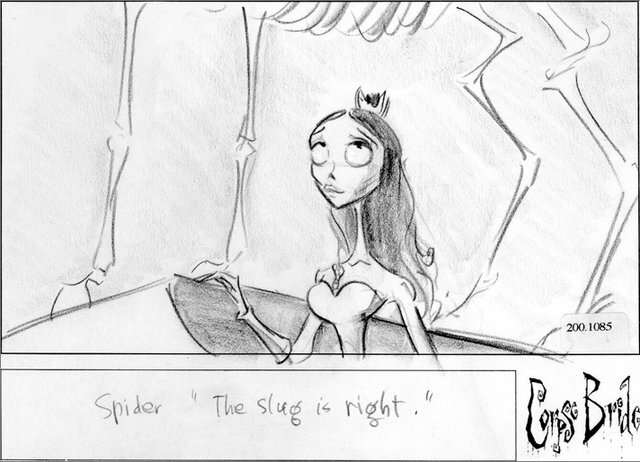 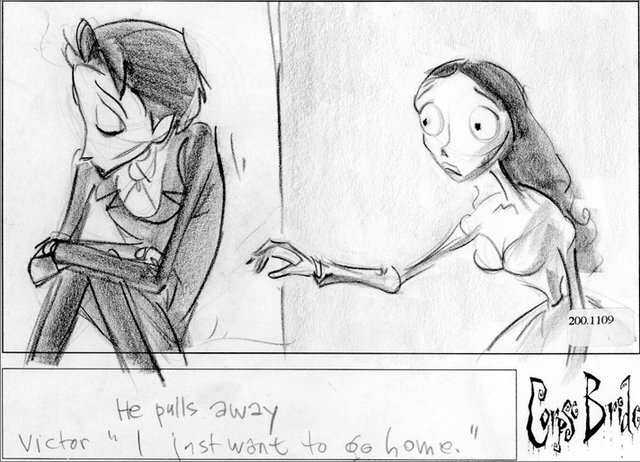 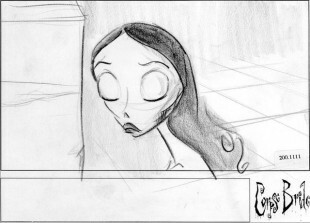 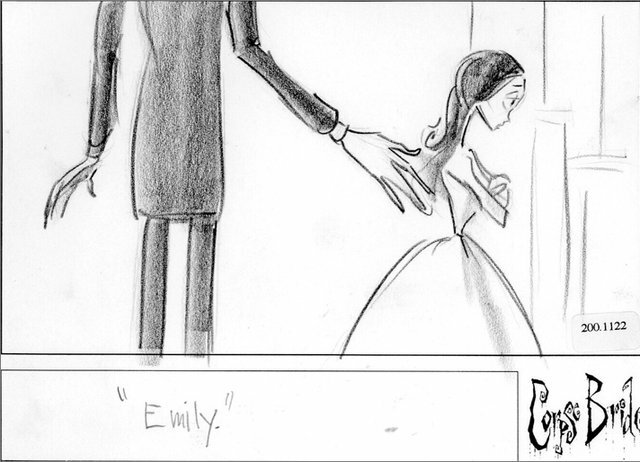 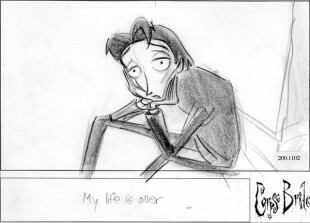 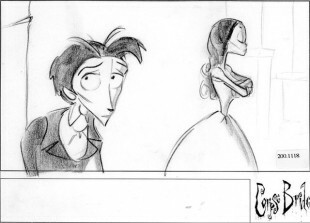 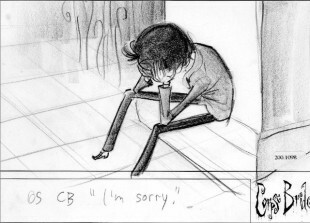 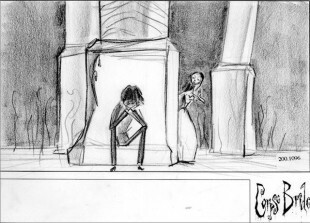 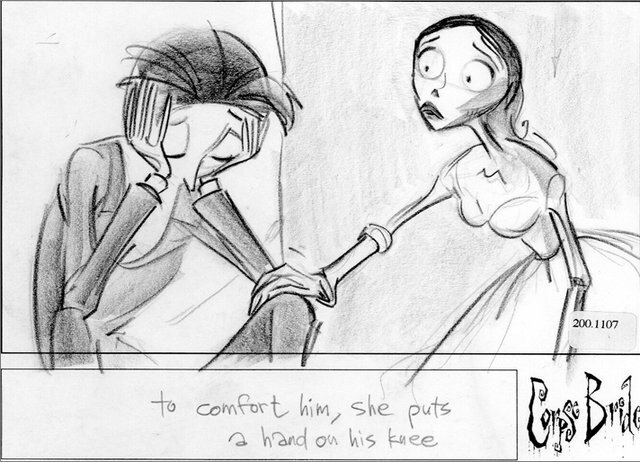 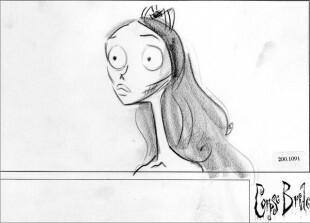 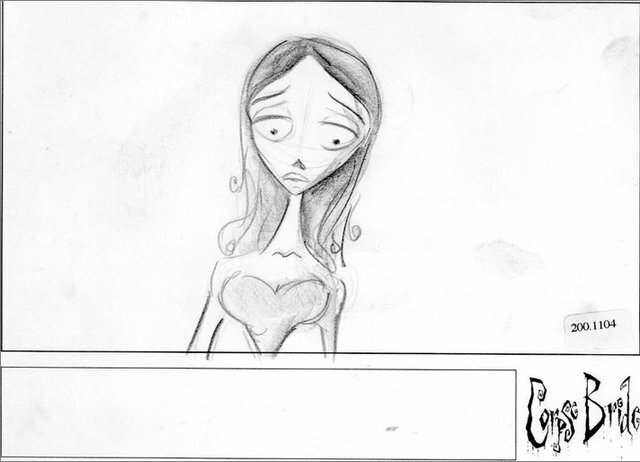 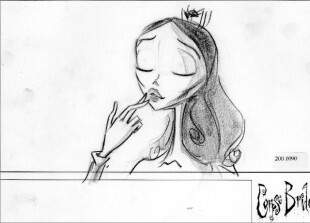 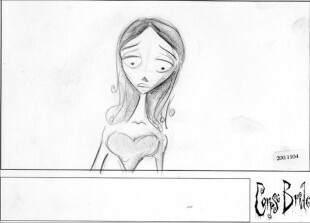 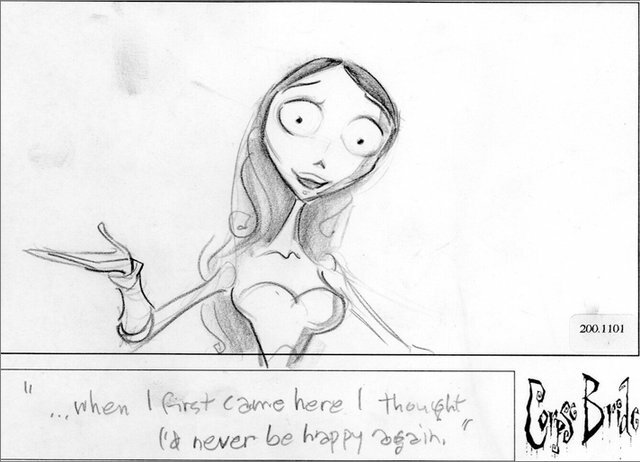 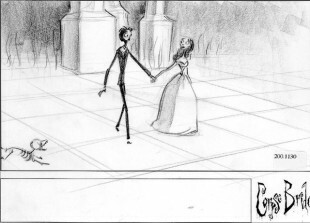 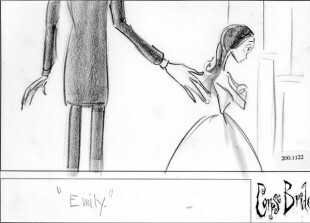 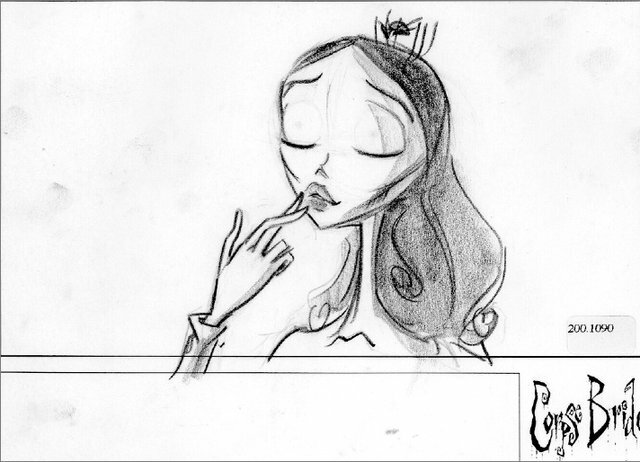 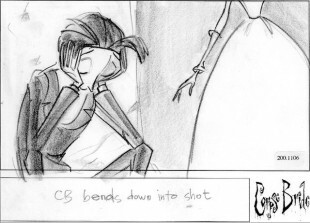 I can’t look at my drawings of the corpse bride without thinking of Mark Miller (Mike Johnson’s right hand man) who commented that I managed to make her look like a crack whore.